Convenience is the driving force behind every retail experience. From quick product availability to easy coupon use and a fast checkout, every customer wants an easy and trouble free shopping experience. The last place you want sour any customer experience is the check-out line. Keeping lines short, easy, and fast is key. A common overlooked component to every point-of-sale system is the barcode scanner. 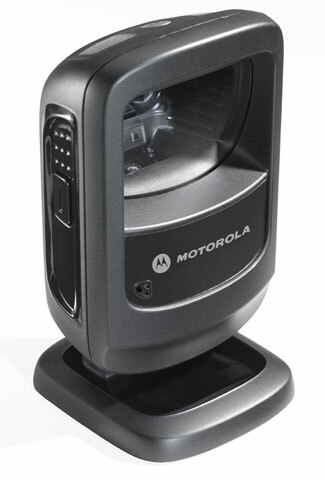 Many businesses opt for the least costly barcode scanner not realizing how it may effect the overall experience. The sooner items are scanned, the faster a customer can be on their way. Where you would once see a basic 1D laser scanner, today the use of 2D Imagers like the Zebra DS9208 has become a more capable solution. Imagers require less aiming and provide faster reading on printed product barcodes but can also read 2D codes from mobile coupons, mobile gift and loyalty cards, boarding passes and even theater tickets. The DS9208 can even read barcodes off of a phone screen. The DS9208 provides all the features you need to keep your workers productive, industry-leading scanning speed, true point-and-shoot scanning simplicity ‘ no need to align bar code and scanner, and hands-free and handheld flexibility. 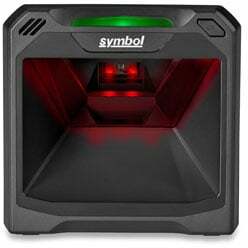 When it comes to presentation scanning, the DS7708 offers a set of features the put it in a class of its one for performance, ease of deployment, and total cost of ownership. regardless of the barcodes your encounter at your point-of-sale, the DS7708’s area imager can read them all as fast as you can present them. Either printed or on a mobile device screen, the DS7708 can capture any 1D, 2D, or stacked barcode. With its compact design, the DS7708 is ready to be installed in the most space constrained checkout lanes with ease. Its impressive durability minimizes costs and protects uptime, maximizing the overall device lifecycle and your return on investment.